The Rad Shad can be twitched side-to-side like a wounded baitfish with even the slightest rod movement. It is 5″ long with a belly hook slot making rigging it a dream and giving you hook sets that will enable you to get that bruiser every time. 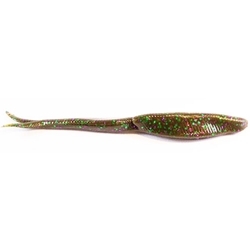 It is best texas rigged weightless with any size EWG hook that gives you the confidence to land your fish. It also works great carolina rigged.